Great news for history buffs and lighthouse lovers! 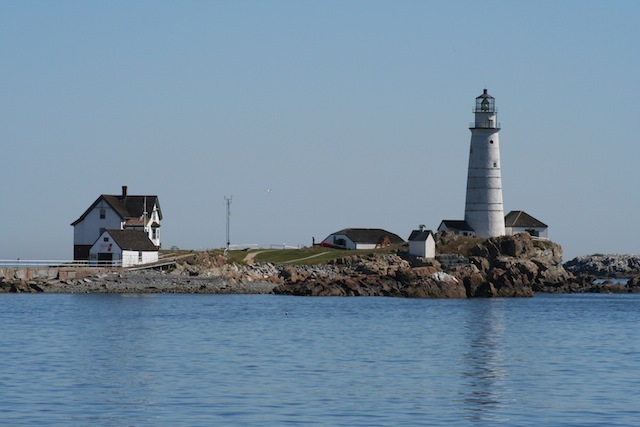 Boston Harbor Island Alliance, the National Park Service and the United States Coast Guard Auxiliary will resume ranger-led summer tours of Boston Light, the nation’s first and oldest lighthouse station, on July 5, 2015. "We're excited to have the island re-opened this summer for visitors," said Sally Snowman, Keeper of Boston Light. "The Coast Guard invested $1.5 million for major repairs to restore Boston Light and her facilities this past year. Now the lighthouse experience is even more spectacular!" The three-hour adventure begins with a 45-minute ranger-narrated tour through Boston Harbor, focused on its defining islands and the dramatic views of Boston’s skyline. Visitors will learn about the rich maritime history of the harbor islands and have opportunities to see two of the harbor’s other historic lighthouses – Long Island Head Light and The Graves Light. After a scenic ride, the ferry will dock at Little Brewster Island, home to historic Boston Light. There, visitors will have a chance to talk with the lighthouse keeper, hear stories of the families who've tended Boston Light over its almost 300-year history, and climb the tower’s 76 steps to see the only Fresnel lens in use in the Commonwealth today and the spectacular views of Massachusetts Bay and Boston's skyline. Boston Light Tours begin on July 5 and run through October 4. Tours will depart from the Boston Harbor Islands Welcome Center at 9:30 a.m. and 1:00 p.m. on Fridays, Saturdays and Sundays. Individual fares are: $41 for adults, $37 for seniors, students and active members of the military, and $30 for children, ages 3-11. Children under 3 are free. For more information and to purchase tickets for the Boston Light Tour, visit http://www.bostonharborislands.org/tour-lighthouse. Don't forget to bring along the ultimate companion to the islands, Discovering the Boston Harbor Islands, the most comprehensive guidebook to the national park area.